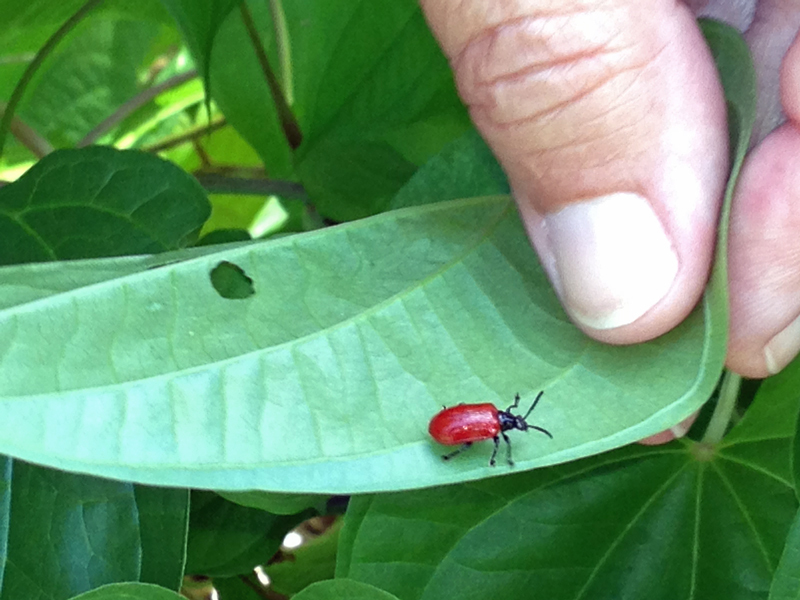 Last year, the Florida Department of Agriculture and Consumer Services released air potato beetles (Liloceris cheni), a biological control agent for the horrible invasive air potato vine (Dioscorea bulbifera), which threatens to overtake the mesic hammock at the Oslo Riverfront Conservation Area. 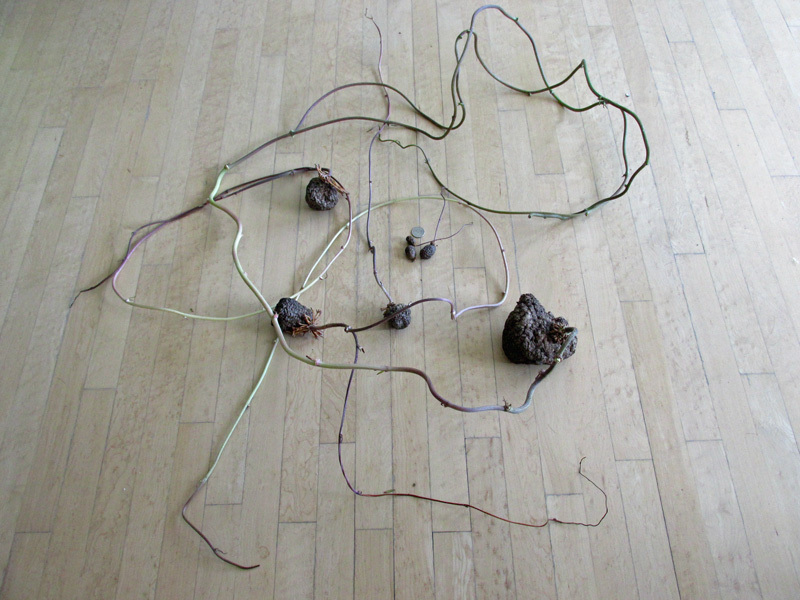 Pictured above is Ken Gonyo’s hand last year with an air potato beetle. 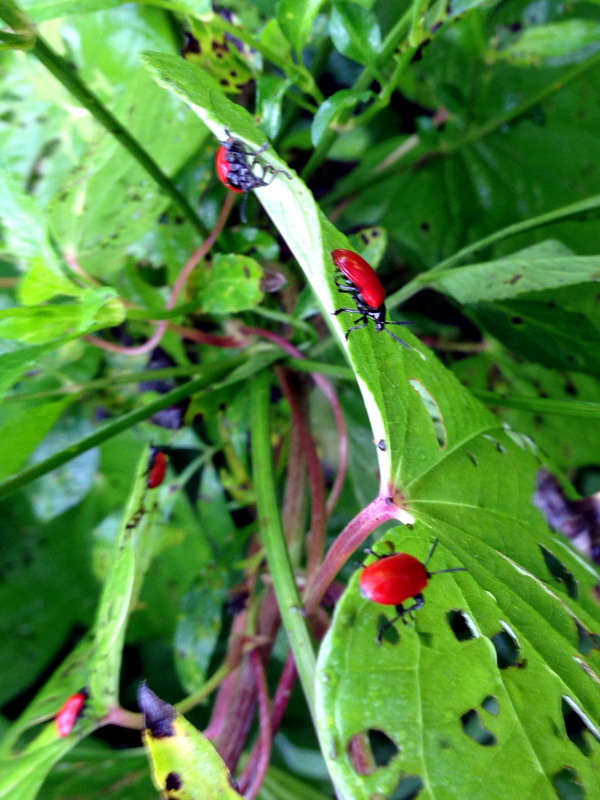 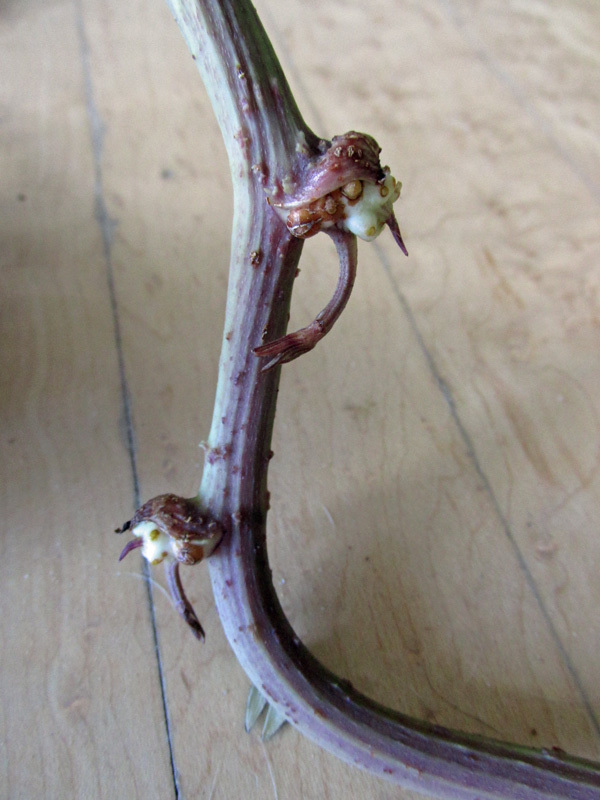 Unfortunately, the air potato beetles failed to thrive last year. 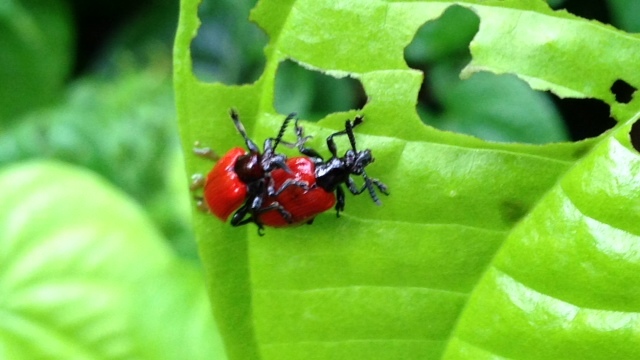 Bob Montanaro recently posted beautiful breeding beetle pictures on his wide-reaching blog. 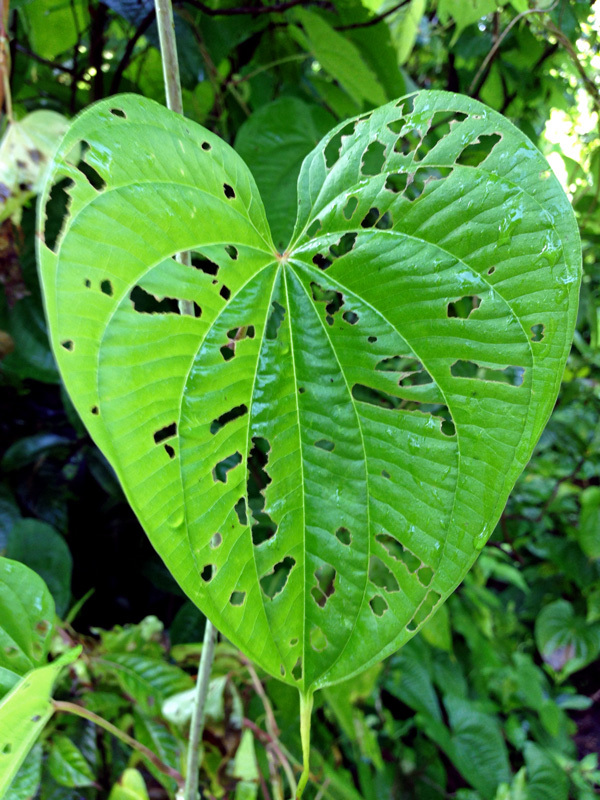 The air potato beetles, even though abundant this year, need human help to even begin to control the air potato population! 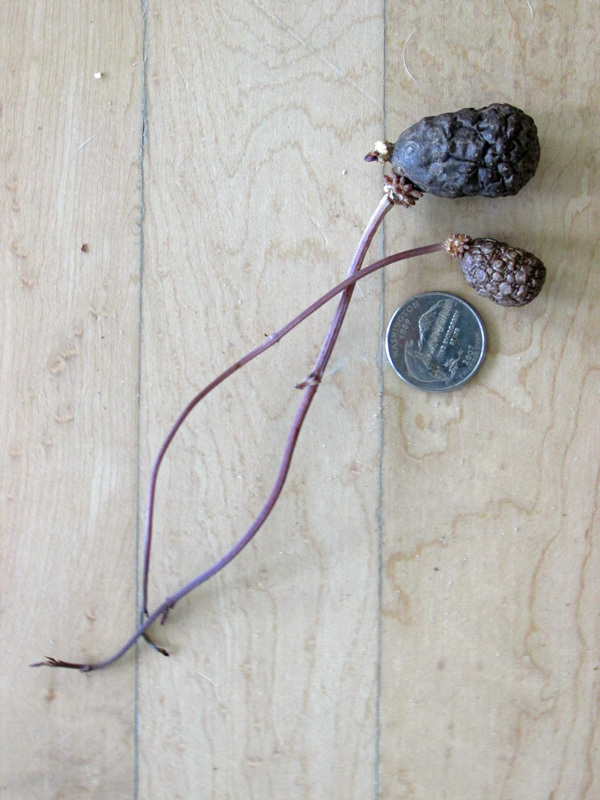 Air potato is amazingly prolific.